Yet another violent attack on Chinese workers could threaten China’s investment projects in Laos. A Chinese citizen was killed in an attack in Laos this week, China’s Foreign Ministry confirmed on Thursday. Since the beginning of 2016, three Chinese citizens have died in two separate attacks in Laos. 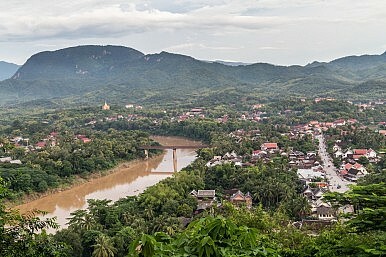 According to Foreign Ministry spokesperson Hong Lei, the latest incident involved an attack on a logging company in Luang Prabang Province, in north-central Laos. Hong said the logging site was “attacked by a group of unidentified militants” at 7 pm local time on March 1. One Chinese worker was killed and three others were injured. Tuesday’s attack follows a January 24 incident in which two Chinese nationals were killed in what was believed to be a bombing attack. One of the victims worked for a Chinese mining company; the other two were not identified. Radio Free Asia-Laos has reported that there were at least 11 shootings or bombings in central Laos between November 2015 and January 2016. RFA-L cited a retired military source as saying that that an armed anti-government group was responsible for the violence, raising the possibility of a drawn-out conflict. The uptick in violence, particularly violence targeting Chinese workers, could spell trouble for Beijing’s investment plans in Laos. As Samuel Ku recently noted for the East Asia Forum, China has stepped up its investments in Laos in recent years, funding a new highway and railway connecting China’s Yunnan Province with Laos and beyond. Beijing also just signed an agreement for a cross-border economic cooperation zone in Laos – but an earlier attempt to establish a similar zone at the same site was shuttered in 2009 “due to escalating criminal activities,” Ku notes. Should the violence in northern and central Laos continue, China’s projects in the country might once again be put on hold.